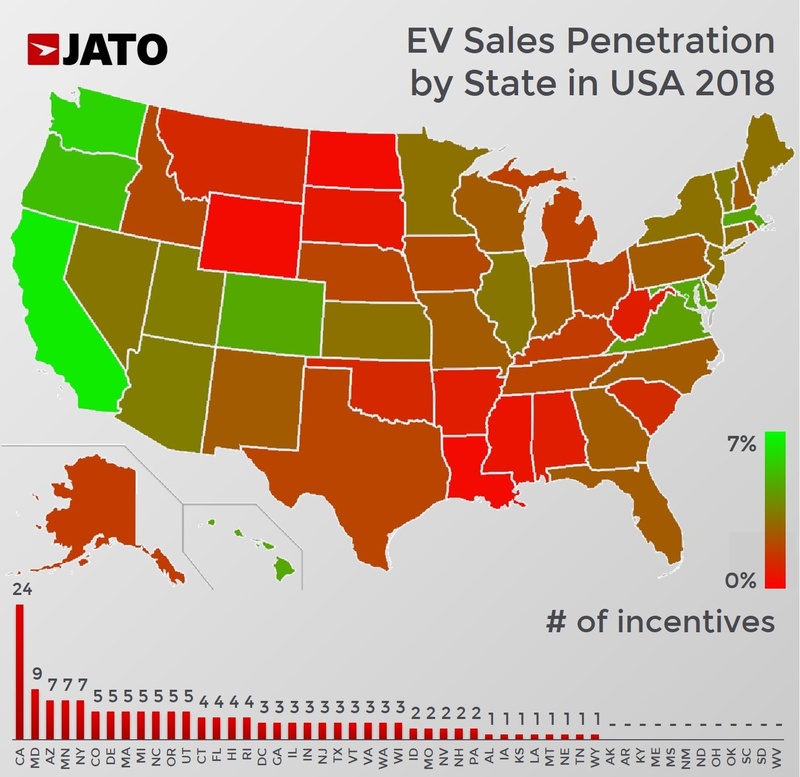 The electric vehicle and plug-in electric vehicle market (EV) by state in the US confirms the correlation between an increase in incentives and an increase in sales. This is also the case in Europe where Norway leads the market, thanks to its strong incentives programme. Our latest research shows that the current Tax Credits and Other Incentives structure in the US is not only unequal among states, but it also shows where demand is growing at the fastest rate. The first conclusion from our research is that electrification is not a priority for all the US’ 50 states. There are big differences in terms of sales volume, market penetration and number of incentives. 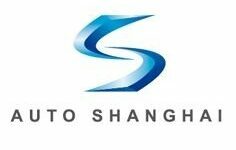 Generally speaking, the US is still lagging behind Europe and China in terms of sales and adopting new technologies. 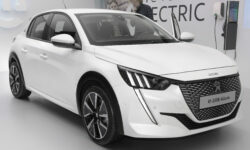 Last year, a total of 317,000 BEVs and PHEVs were sold there, against 378,000 in Europe and 1.14 million in China. It’s no secret that California is a stronghold for these vehicles. 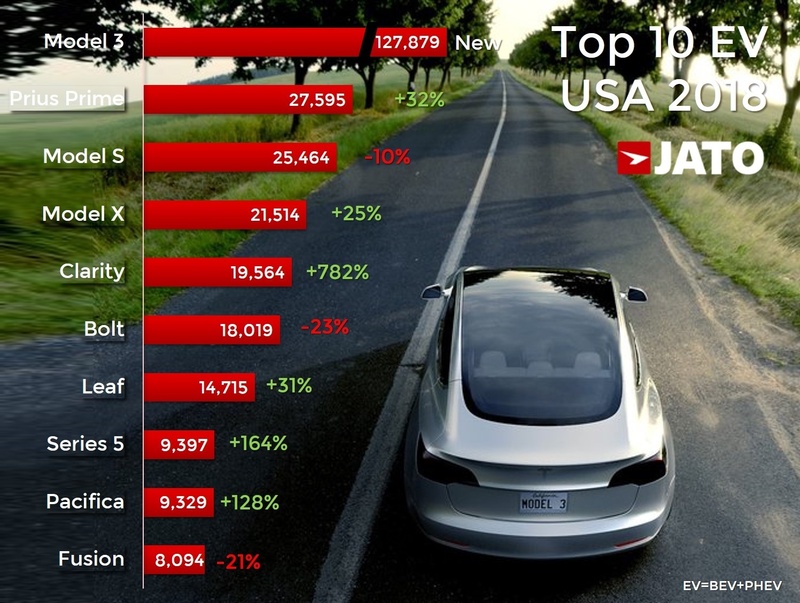 It was the largest EV market in the US and the world’s second largest behind China (if Europe is split by country). Sales of BEVs and PHEVs totalled 157,600 units last year, up by 77%. As a result, California’s total was more than double that of Norway, which was Europe’s largest market. 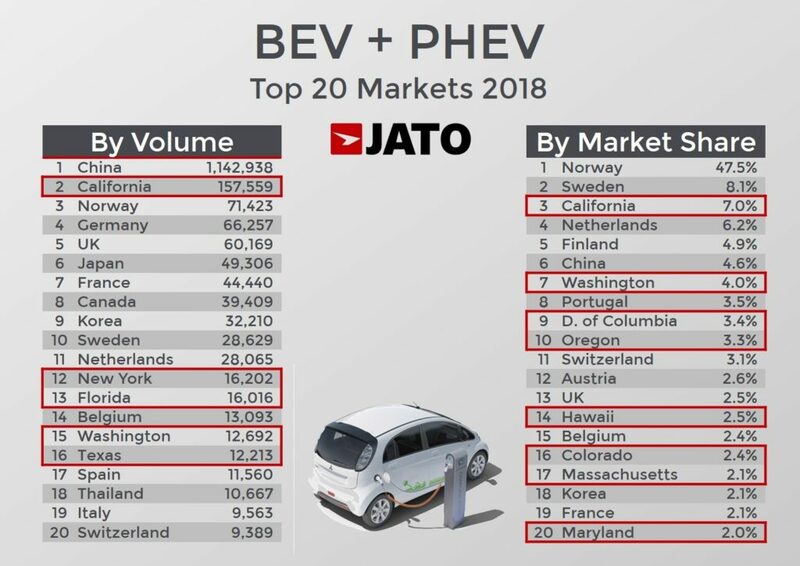 California also shined in terms of EV market penetration. These vehicles counted for 7.0% of total vehicles sales in the state, giving it the third largest market share in the world, only behind Norway and Sweden, as it outperformed China and the Netherlands. However, there was a large gap between California and the other US states, as Florida, the second largest EV state by volume, was 12th in the global rankings. Washington state (second in the US by sales penetration) occupied the 6th position behind China. The US map by incentives and tax credits gives a better understanding of how they continue to boost demand. According to the Office of Energy Efficiency and Renewable Energy, there are 153 different incentives all over the US, falling into the categories of exemptions, rebates and tax credits, among others. Some of them, such as direct rebates, have a bigger effect on demand, while others, such as utilities or private incentives, have a more specific impact. As expected, California registered the largest quantity of incentives with 24, which helps to explain the increasing popularity of EVs among consumers. The key element here is the importance of rebates, which are a direct incentive to the final consumer. The Golden state offers the highest rebates for BEV, PHEV and FCEV owners, which go from $2,500 to $7,000. They come in addition to access to the HOV (High-occupancy vehicle lane), three more private rebates ($1,000-$3,000) and many discounts on recharging. Despite the positive effect of rebates in leading to an increase in demand, there are some cases where they were not crucial for the boost, such as in the state of Washington and the District of Columbia, which were the second and third states by market penetration in 2018, respectively. The reason behind their ranking positions was not related to rebates (as there were no state rebates), but to other kinds of support (see table). 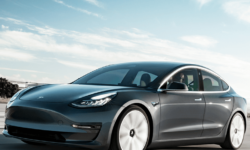 The arrival of the Tesla Model 3 allowed the California-based company to control more than half of the US EV market. 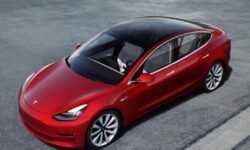 Its three models sold 174,900 units in the US last year, up by 270%, following the introduction of the Model 3. This strong growth is also explained by the solid position of the brand in California, where it sold 47% of its US total. 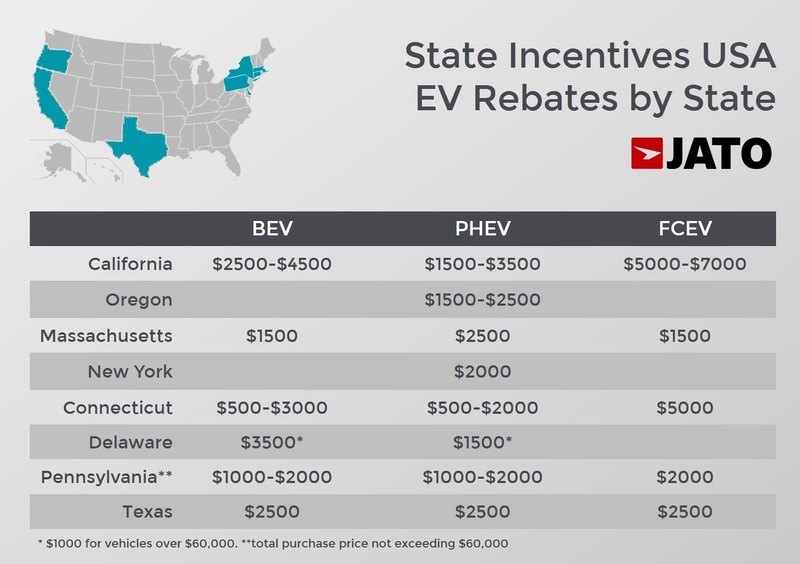 The breakdown in incentives by state also helps to explain why Tesla decided to launch a cheaper version of the Tesla Model 3. 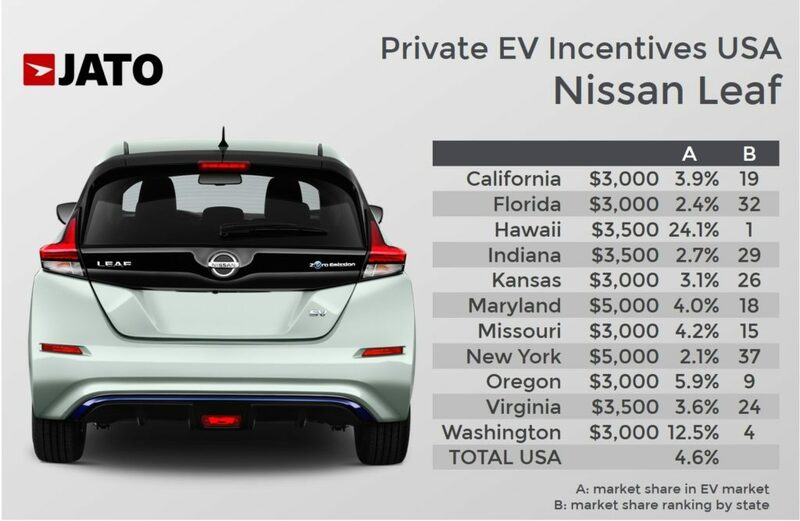 There are some states where rebates or tax credits apply only for those vehicles priced below $60,000, which aims to incentivise the introduction of more affordable electric cars. Thanks to the Prius Prime, Toyota was able to outsell GM and become the second most important player in this market. The same happened to Honda, whose Clarity model was the fifth best-seller. Other big improvers include Chrysler, Kia, Mitsubishi, Hyundai and Mini.